The Finnish Plastics Federation (FIPIF) and its Composites Group held their 2-day annual event to highlight modern composite applications in Lahti, Finland on the 22nd and 23rd of November 2018. The conference featured many talks and discussions that emphasized the need for the development of more circular options in FRP materials and applications, particularly in light of the expectations that the Glass and Carbon Fiber Reinforce Plastics will continue to grow at an accelerated pace. 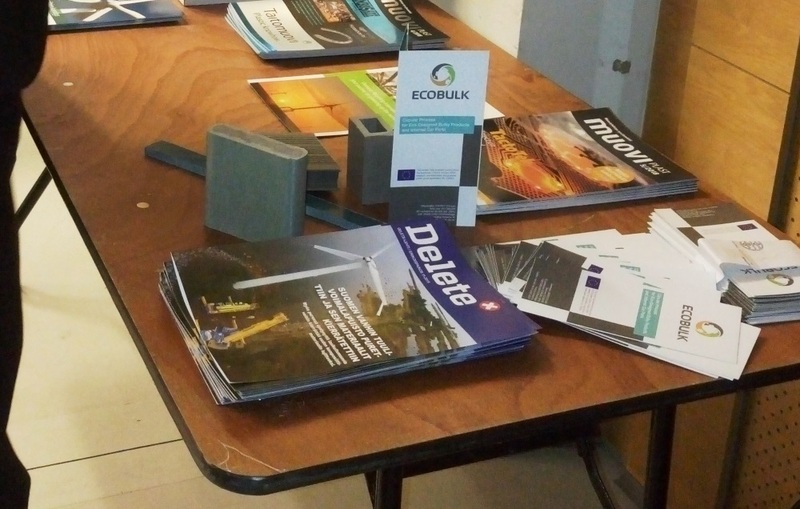 Conenor, an ECOBULK materials partner who is currently developing new materials based on FRP waste was there to talk about the project and their new circular wood plastic composite extrusion materials that feature up to 35% FRP waste. Both Conenor and TUDelft will be presenting their work on developing circular solutions specifically for decommissioned wind turbine blades, as well as highlighting the new Circular Design framework for bulky composite products, at the AMI Conference on Wind Turbine Blade Manufacture in December in Düsseldorf, Germany.